It didn’t take long for people far and wide to discover Uno Mas, a Mexican restaurant that opened last December in Farmington. We owe our friends, the Grazianos of Readfield, a thank you for recommending this wonderful restaurant to us. Open 7 days/week noon to 10 p.m. Check out the entertaining videos on their website. 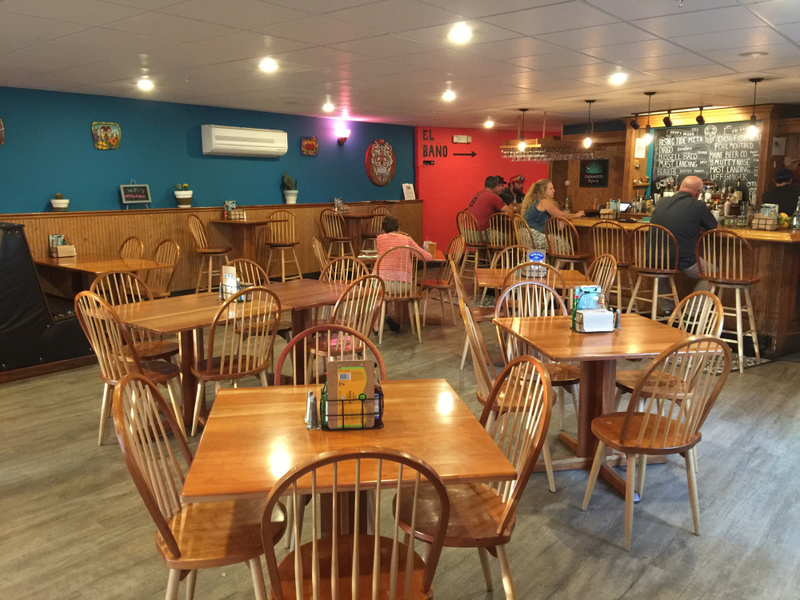 Owner Ryan Nezal, a Farmington native, has completely renovated the restaurant and it’s nice, including the outdoor seating that appealed to most customers on the hot evening we visited. Ryan and a number of his staff are good friends who worked together at times in several restaurants. When I told him our favorite restaurant in the area is Calzolaio in Wilton, Ryan said he and two of his workers/friends worked there for two years. Bill, the bartender who appears in two entertaining videos on their website, has worked in several places in Portland, but was quick to say yes when Ryan asked him to return to Farmington. Bill is a fine and friendly bartender, and I enjoyed talking with him about his fantastic selection of Maine microbrews. He and Ryan travel the state to secure beers from some of our smaller breweries. I really loved their Grumpal Umpagus, a tasty stout by Norway Brewing Company. Uno Mas is one of just three places to offer this beer. Ryan is very committed to local produce, and even has his own greenhouse. I loved my appetizer, barbacoa tostadoes ($10): three tortillas with avocado puree, barbacoa brisket and barracha “drunk” sauce. 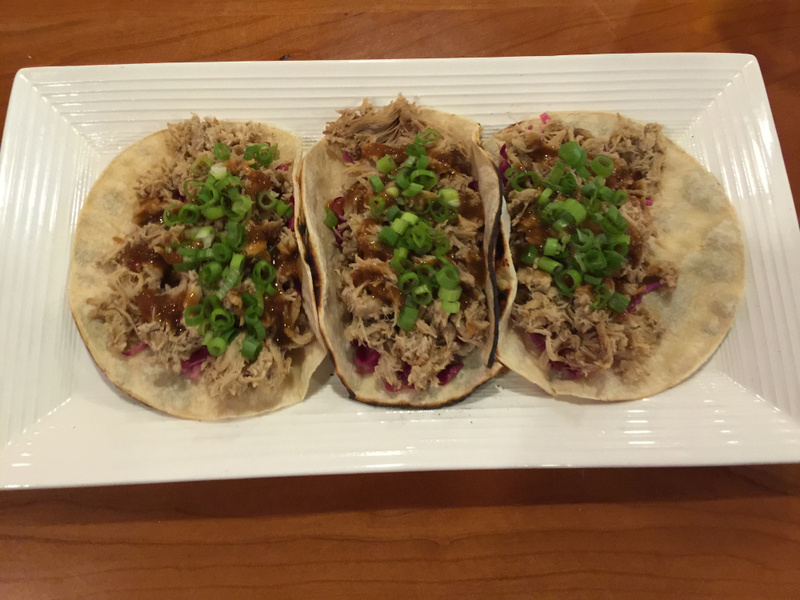 Next up was an orange pulled pork taco ($9) with pickled cabbage and red onion slaw, topped with an orange salsa and green onions. It’s just as tasty as it sounds. I really loved the orange barbecue flavor and spiciness. Pretty soon, Linda and I had a table full of food, enthusiastically dipping here and there, enjoying a feast. Chef Elissa Danforth, who went to school with Ryan, is clearly creative — elevating traditional Mexican dishes to something very special. A friend visited with us before leaving, telling us he loves the steak taco dish. I noticed he was wearing an Uno Mas hat. I’ve got to get one of those. At a nearby table, 10 people were celebrating a birthday, including two small children. With my own birthday coming soon, this gave me a great idea for my celebration. Uno Mas has added a great Mexican food option to the Farmington area. It is located beside the cinema complex and is easy to find. Owner Ryan Nezal talked to us about the changes they made when they took over this space. Ryan grew up in the Farmington area and his high school art teacher was an important mentor to him. It was this same mentor who helped him recreate this space. In fact, it is the teacher’s brightly colored art that hangs on the brilliant blue walls. Popping wall colors, wooden floors, tables and chairs, and nice lighting make this an inviting space. A beautiful wooden bar offers additional seating, along with an outside patio. I’d done a bit of research online and people raved about the warm homemade chips ($4). Side dishes of pico de gallo, salsa verde (each $4) and guacamole ($6) make great accompaniments for those incredible chips. They really are not to be missed, and the basket of chips will feed several people. Ryan pointed out that we could order a four-ounce, half-order portion of the sides and suggested a sample plate of all of them. A Pacifica pilsner beer ($2.50) went well with my appetizer and meal. The pico de gallo was fresh and had a nice bit of heat. The guacamole was probably my favorite of the three sides. The brisket entree came with an Xni Pec salsa. I have no idea what that is, but when it is labeled “spicy” on the menu, I respect that. I did note a tostada appetizer that was made with brisket so we also ordered that. 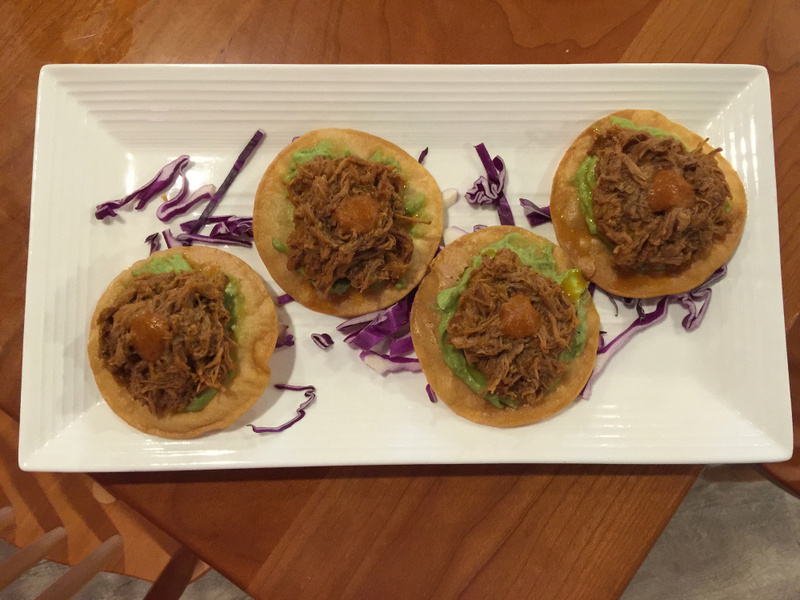 Four small tostadas were topped with brisket, avocado puree and barbacoa salsa. 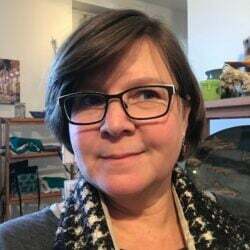 They are proud of using fresh local produce when available, and chef Elissa creates some amazing specials and salsas based on what she can get each week. Ryan told us that their tacos are “in the style of street tacos.” Differing toppings and salsas make each taco’s flavor unique. George’s taco was totally different than mine. I went with a chipotle chicken taco plate ($8). 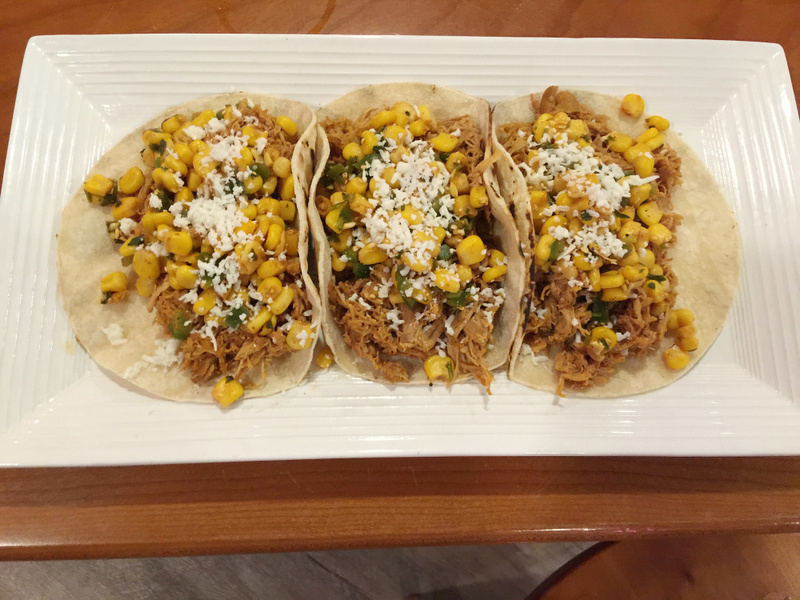 Lively flavored chicken was topped with lime cilantro street corn and cojito cheese. Bottled hot sauces were on the table and were probably beyond my taste buds. They do make their own hot sauce and an enchilada sauce. We enjoyed a bit of the enchilada sauce on our tacos. We were told that flan and churros were a must to try, but had no room for dessert. Another time. We certainly will return. And yes, I know George’s birthday is coming soon. Visit George’s website — georgesmithmaine.com — for book reviews, outdoor news and all Travelin’ Maine(rs) columns, found listed by town in the “Best of Maine” section.